If you use the Air@Work unit, then next to ventilation with heat recovery, you also have energy efficient cooling. This makes theAir@Work unit more durable, affordable, and more reliable than conventional systems! 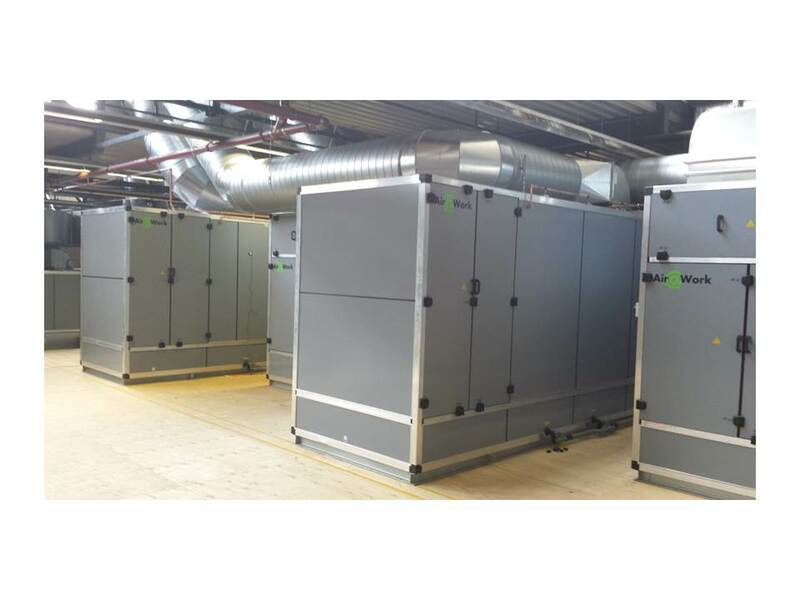 The cooling efficiency of the Air@Work unit is 80%. That is many times more efficient than conventional systems! With the Air@Work unit, you save on power consumption, the significantly lower connection value and on maintenance costs. Moreover, the Air@Work unit (like all our other products), is tax-deductible in conformance with the EIA, Energy List 2014. Our Air@Work unit consumes very little energy. This is partly because we only use air and water for cooling and no environmentally damaging chemical agents. Furthermore, the water in the Air@Work unit is used under slight pressure, so no high-pressure pumps are required. This saves on electricity so that the Air@Work unit has a low CO2-emission, thereby contributing to a smaller ecological footprint. The Air@Work unit requires minimal maintenance, as there are only a few electronic components and moving parts, the maintenance-free EC-fans and the absence of compressors and refrigerant gases.